The caravan, camping and holiday parks of the UK are enjoying the benefits of the pounds slump in value since the Brexit vote, with the biggest 100 holiday venues in the country seeing a total of £2.7 billion of spending by British holidaymakers last year. That’s according to new research by the lending firm Ortus Secured Finance, who said the 9% increase in ‘staycation’ spending over the past five years was due to UK holiday parks offering value for money along with high-quality facilities like restaurants, bars, shops and swimming pools. The 13% slump in sterling against the US dollar and 9% drop against the euro since last year’s EU referendum vote has also led to staycations being a more attractive proposition for UK holidaymakers, as the weak pound means foreign travel is increasingly expensive. 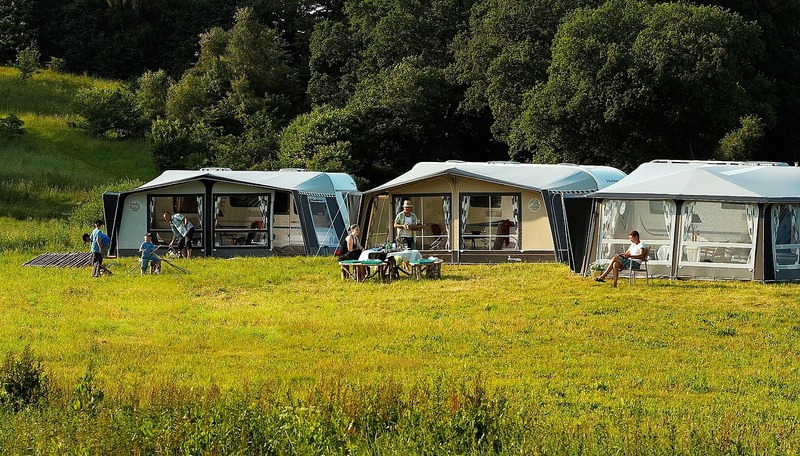 “Caravan, camping and holiday parks are going from strength to strength, combining value for money with high-standard facilities to maximise the guest experience. The trend for staycations and the rise in spending has led to UK holiday parks becoming a target for private equity firms, with their robust growth and solid revenues making them a sound investment. Such deals have included the sale of the UK’s largest caravan operator – Parkdean Resorts – for £1.35 billion last December. Park Leisure was bought by an investment consortium for £103 million last year, as was Park Holidays for £362 million. “Like many other businesses in the tourism, leisure and hospitality industries, operators need to commit to continued capital investment in order to maintain competitiveness and stay ahead of the game.